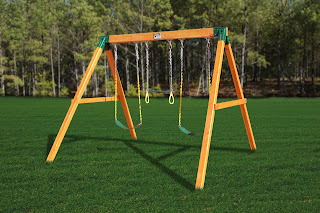 Playgrounds.net Blog: Why to Choose Wooden Swing Sets? Kids love being on the swing. It cannot be described in words how it feels to be on the swing sets. Even if a kid is on any other playground equipment, his eyes are always set on swing set, so that he can be the first one to reach the swing when somebody else leaves it. Wouldn't it be great if you install a swing sets in your backyard? Your kids would definitely love to see their personal swing set in the home backyard. 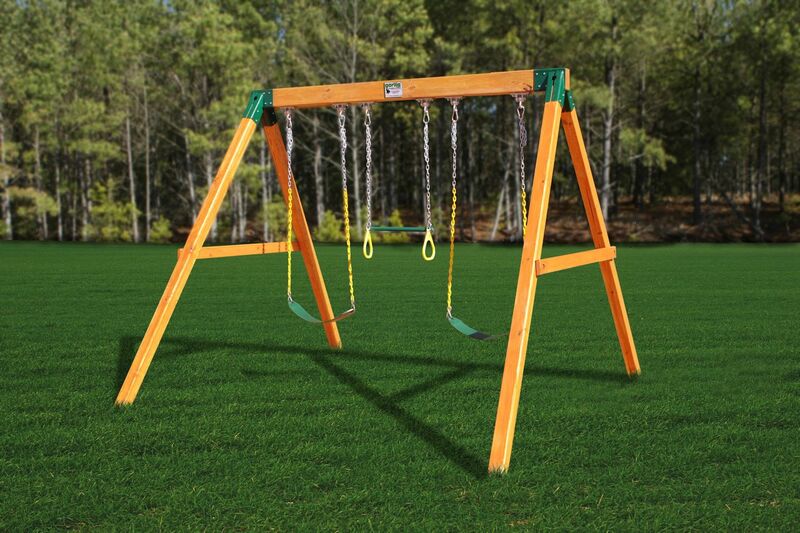 Backyard swing sets are made of metal, plastic and wood. Mostly parents prefer to install wooden swing sets in their backyard. These swing sets are made of redwood, which is naturally resistant to decay and insects. Also, wooden swing sets are more durable and dimensionally strong as compared to metal and plastic sets. Unlike metal and plastic swing sets, wooden backyard swing sets can easily withstand extreme weather conditions. Wooden swing sets are generally available in two options, which are A frame base and flat base. You would have to consider the surface level of your backyard beforehand to select any one of them. Note that, in flat base swing sets you would need to install extender beams to make it stand firmly on the ground. Before selecting the wooden swing sets for your backyard, make sure it is constructed in adherence with safety measures and quality standards.